RUGBY LEAGUE: The Graveyard has awoken from its slumber after 17 long winters. 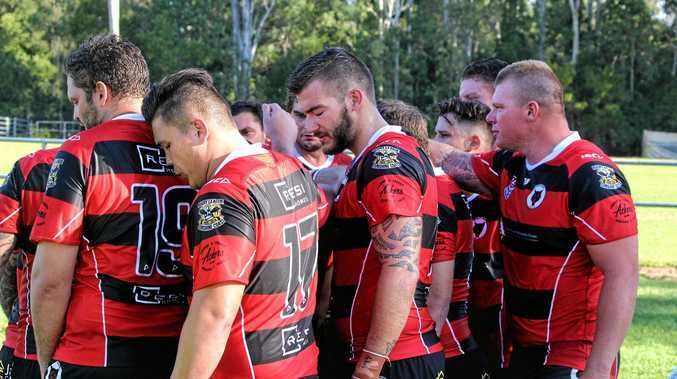 There's a cold chilling fog that creeps over Woodford in footy season, as hundreds walk down the main street en route to the small town's fortress, and there's only one thing on their lips - the Stanley River Wolves. 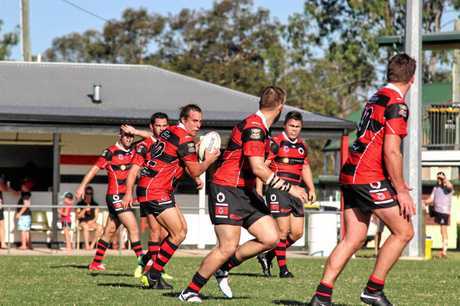 This season, a forgotten force of Sunshine Coast Rugby League is re-born. After five rounds of A-Grade, Rivers sit in equal first, with three wins and one loss. Former Falcons twins Rowan and Callum Klein answered an SOS to return to their junior club after a decade or more away bringing calibre and a love of the club that can't be bought. 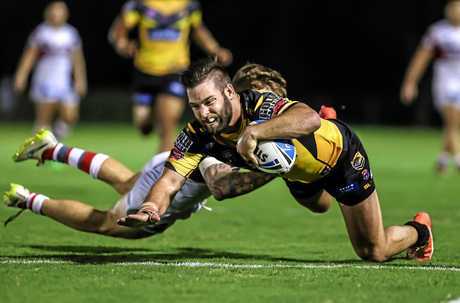 "I got the call from an ex-teammate Sam Armitage back in September, they were struggling badly for numbers," Klein said. Lock forward Armitage was playing reserve grade and saw potential for the club to return to the glory days. "In Woodford once you hit 18, there was no senior side, so we all split up," Armitage said. "I just started to think how good would it be (A-grade). "It meant so much getting Callum and Rowan back. We're revamping an old dream. "Since then the ball just started rolling." No less than 10 Woodford juniors have returned to the club - ex-Falcon Brett Doherty, Ricky Shaxton, Dayne Rogers, Trevor Collett, Dean Lude, Connor Jackson and Scott Floss. Hard-running backrower Tom Murphy has been instrumental, as has ISC rep Ryan Hansen. The club's old boys are also back helping out when and where they can. "I wanted to bring blokes back who had ties to the club and wanted to play there," Klein said. "Some of the guys were playing in Brisbane, others weren't playing at all. 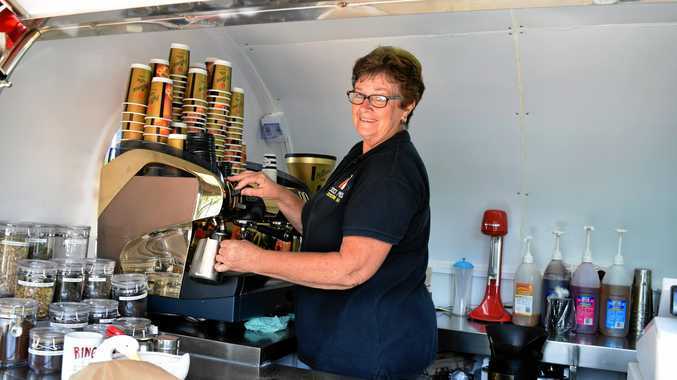 "It's just been so great for the town, everyone is talking about it. "It's massive on a Saturday night, we get anywhere from 300-500 come down." It's seen the club run in 148 points from their first three home games. "We don't like to lose at the Graveyard. We do a lot of travelling, so we know it has to be a fortress. And it is." The rest of the squad the twins recruited were crucially not from rival Coast clubs. "The whole goal was not push local talent, not draw from the same player base," the skilful centre said. "It's about bringing boys home and improving the Coast comp overall. "I'm so glad to be back, I'm 28 now and this is the most enjoyable season I've ever had." 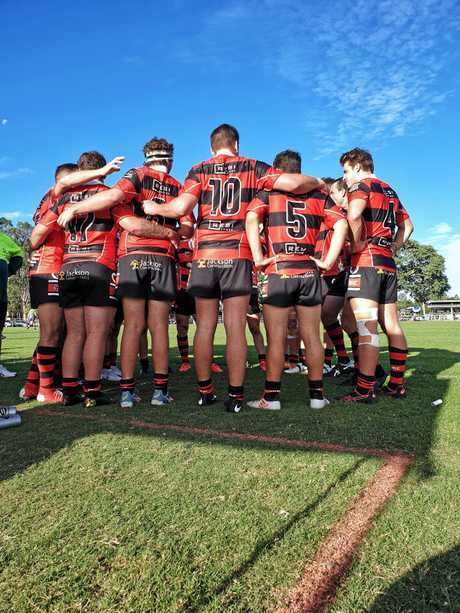 Klein said the transition back to A-grade couldn't have been possible without the club's sponsors - including Sunshine Coast orthopaedic Clinic, Resi Homes and Jackson Construction. As Rudyard Kipling famously said, "for the strength of the pack is the wolf, and the strength of the wolf is the pack." Well Woodford, your pack is back.